Mirror Mirror is an attempt at telling the entire Snow White story in one panel. This was inspired by the mirror it is framed in. Snow White’s innocence and youth is being stolen from her after being poisoned by the evil queen’s true and hag like form. She passes the heart of Snow White through the magic mirror so the youthful form of herself can absorb the essence of Snow White. 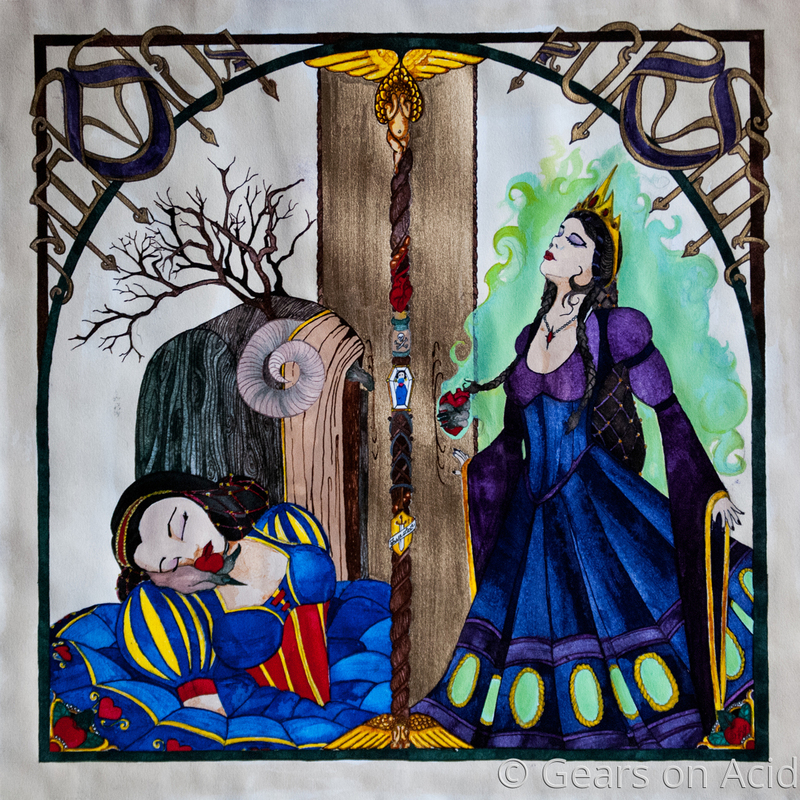 The edge of the mirror between the two queens includes the 7 dwarves, the long sleep, prince charming, the poisoning, and the huntsman after her heart.